Great value mixed fruit boxes, healthy snack boxes and kitchen cupboard essentials, Browse our range of products and choose the right suppliers for your workplace. Use our simple ordering process and your fruit will be delivered on your chosen day. Our pricing is highly competitive and we will aim to tailor our service to your needs, requirements and budget. A healthy workplace keeps employees motivated and more productive, delivering benefits for both employees and employers alike. Make your order and we'll ensure you get top quality supplies delivered directly to your office. 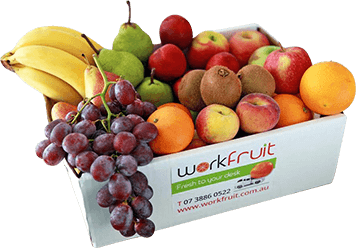 We are the owners AND operators of Work Fruit and we personally inspect the fruit before we buy from our suppliers and we see every piece of fruit that is packed. We support Australian Farmers by only supplying Australian produce. We have customers who are new to fruit deliveries and some who have transferred to us. We don't outsource so that you can be reassured by our promises of quality and service. 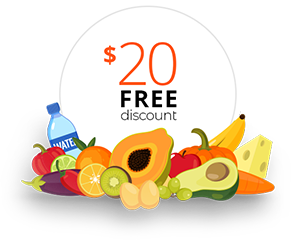 I really love how it all just magically appears at my door, I don't have to bother driving around Sydney looking for the best produce, WorkFruit saves me hours a week. The staff are loving the fruit and I was really impressed once again with the variety and quality of the selection. Thank you for providing such excellent service..
We are loving the pears and oranges. Please tell me more about the oranges. I always thought blood oranges were like grapefruit really bitter but these are really sweet..